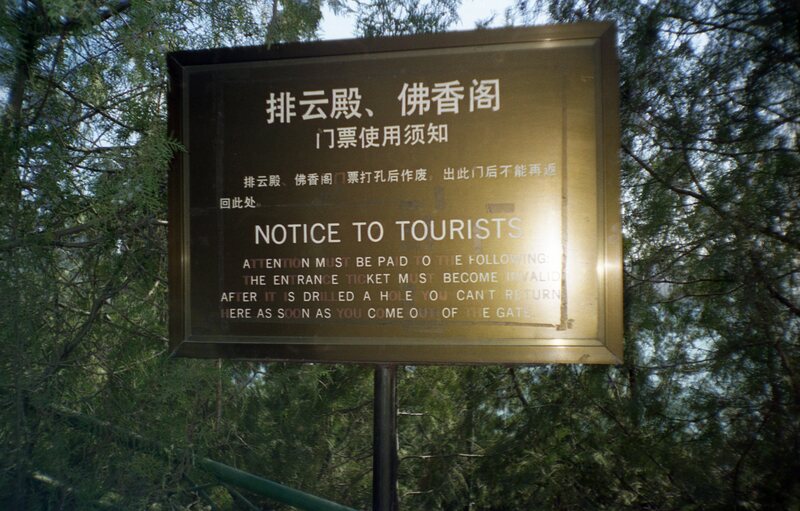 The country where the grammar-translation method breaks down is China. 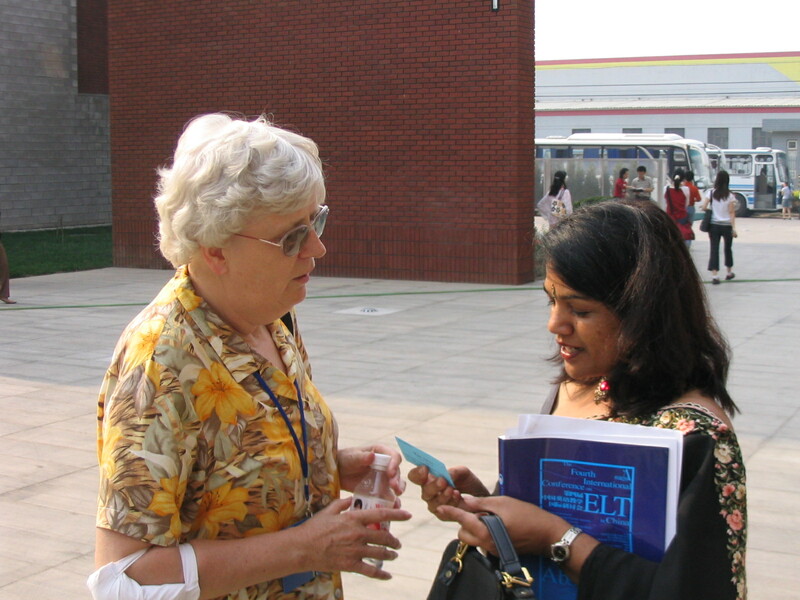 Chinese, in its utter grammatical simplicity, resists most grammatical explanations about kinds of words and word forms that exist in European languages, the differences between adverbs, adjectives, verbs and nouns that mostly do not exist in Chinese, also about singular and plural, or conjugated, pre- or suffixed forms in complex languages especially like Russian, Hungarian or French and the like. On the other hand, the fields of meanings can be so different that simple word-for-word equivalents in dictionaries may completely miss the point in both ways. One can’t explain this to Chinese students of English, they keep doing what they have done for the last couple of decades, or perhaps for centuries with all subjects, that is, walk around campus holding their copy-books or books mumbling out lists of words or sentences half aloud hoping that they’ll be performing well at test the following class. Yet, wherever we go in the country, we can’t miss the perverted English translations of public signs wherever they make the attempt, like on these ones in this collection. The fun is a bit lessened by the fact that we don’t know the real meanings of the original Chinese sings. Thirdly, and this may sound strange, there are the sometimes insurmountable cultural differences that a European first finds exceptionally strange. If we, for example, ask Chinese students to translate the following, “Next week, citizens of the Netherlands are going to election to vote for candidates to represent them in the lower house of Parliament”, except for ‘next week’ (and perhaps ‘the Netherlands’), they will ask for the meaning of each and every word and will still shake their heads for lack of understanding the explanations. There are no direct elections, no representation, no known candidates to vote for, voting in our sense doesn’t exist, and there’s no parliament, let alone a lower or upper house to it in China, so how should they express these notions and institutions? I know about the problem, because I already had a hard time trying to explain this stuff to university students in one of the most highly developed area, the South-East. Then, even if they manage to put the sentence somehow into Chinese, inserting the name of the Congress of the People’s Communist Party for ‘Parliament’, we will wonder why ‘the Netherlands’ was left out, because in this language, internationally well-known names necessarily come in disguise for lack of suitable phonemes. So how do language differences of these kind translate into foreign language education? Let’s have a look at public education before discussing teacher training at universities. Compulsory education starts at age 7, but for most kids, community teaching starts in babyhood, with the whole overage and underage neighbourhood handling them simply because most working-age mothers must work for lack of childcare benefits after the first few months and for the low wages that press them to add to the family budgets. After a couple of years, children have to be taken to kindergarten, usually provided by the workplace, and it can often happen that they already get used to some English nursery rhymes there, simply out of being fashionable on the part of the kindergarten. At primary school in modern China, kids start studying some of the Latin ABC along with some Chinese, and when they go into the higher levels, this naturally increases in scope and depth. Unfortunately, not all teachers know the real English pronunciation of the Latin ABC, and overall, they inevitably drive the notion into children that that’s the only pronunciation of the letters. This may lead to huge problems if somebody might later try to study a language other than English, although this happens very rarely. Most primary schools are inside town, but with the spreading of private schooling institutions over the last two decades, if the school has primary as well as secondary section, the pupils may usually be moved for a decade outside cities, where the land is cheaper for building a new school. So although there are still lots of traditional state secondary schools in the cities, an alarming rate of emerging private schools means that perhaps a quarter or more of secondary school children in the developed areas go to ‘high school’ to enclosed, though spacious institutions, where they mostly remain within the campus walls, simply for lack of the time it would take to get to town and back. Staying within the school means that children have no way of meeting the few foreign people who may come to town, thus missing any opportunity to communicate in English. 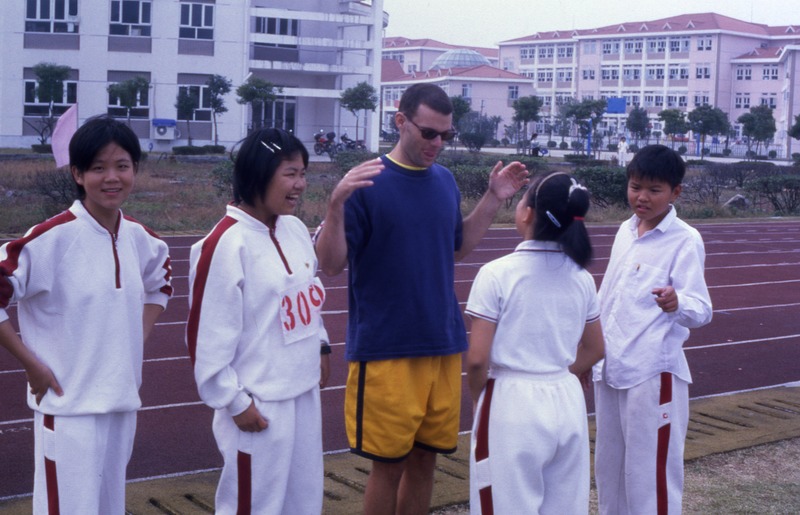 Although they often have 6 or 8 English classes in lower (3 years) and upper high (3 years) school, they receive them from Chinese teachers of English, who, with few exceptions, hold their classes in their mother tongue, as if the class were about Latin a hundred years ago. So the focus is on understanding English texts, translating them, however difficult that may be as we’ve just seen above, and then talk about the grammar and taking tests. Tests are the ultimate goal because English is necessary for students to get to universities of any value. The trend is a bit counteracted by another trend, vis. the one that schools, especially private schools, lure one or two native English speakers to teach with them. In practice, the need is so high that people of other nationalities, like myself, Ukrainians, Bulgarians, Russians also often get such a position. The requirement for such ‘foreign experts’ is of course proficiency in English, which is usually thoroughly tested by a native associated somewhere along the line with the school. On the other hand, the system hardly works well in practice. The foreign expert, be it native or not, is given one hour per week per group and simply told to ‘teach them something’. The only chance we get to do something useful occurs if the school is able to set up a group of students aspiring to university in Australia, or the USA, and for them, the foreigner gets several hours of teaching that one group. Then the difficulties of being understood multiplies. In most classes, it’s an uphill struggle to get yourself understood, as can be guessed from lessons in Chinese and lack of meeting any foreigners before. Chines media don’t help either: there aren’t any foreign-language programmes on TV except for the occasional Chinese lesson by an expat and the occasional English-language news for English-speaking folk resident in the country on one of the 15 channels of China Central TV. And students rarely watch anything but NBA matches with Chinese commentary. No wonder, then, that students keep asking each other ‘shenma, shenma’ (what? what?) for several weeks, that is, for several lessons. Some do believe that the ‘laowei’ (that is, foreign devil, as every white person in the country is referred to) doesn’t speak English and possibly they do. Of course, nobody can utter an English sentence for a while except “What’s your name?” and “Where do you come from?”, and the sound of English stays completely alien for most. Although my American colleague wasn’t understood much better, I was often complained about as being impossible to understand until the American explained to everybody that I speak with a British accent and that’s more difficult to follow than educated standard American. Still, we succeeded somehow, managed to make an impact by employing all techniques available for explaining everything without speaking the students’ mother tongue. The message to Dutch English teachers worried about this is that it’s not easy, but can be done and it can sometimes be great fun and a great experience for all concerned – we can be the very first foreigners, and for a long time the only ones that the students can talk to, and that’s a big thing for most kids there. We can also learn some local language if things go well. 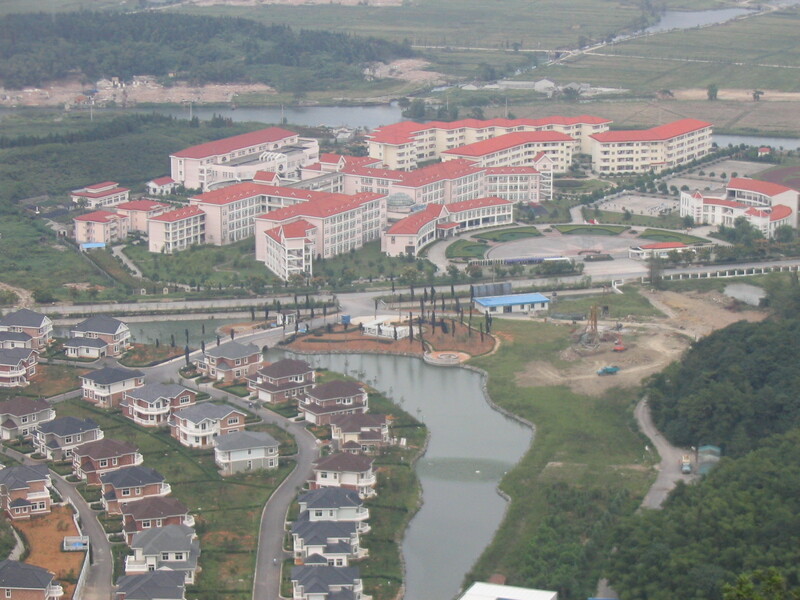 For the sake of those aspiring to take up this line and try to get to China to teach English, I must admit that for most of the groups and time and schools, the foreigner is a figurehead used for representing the status of the school. There are no real responsibilities for us other than the requirement to be present when prospective parents are met, or existing parents visit the school. Besides, the foreigners should be present at all school events, be that about sports, or singing competitions of classes and the like. In exchange for this, standard salaries for foreigners are considerably higher than for local teachers, which inevitably makes some of the staff jealous (usually those who have no English competence at all), still, they are hilariously low by western standards, comparable to salaries in Eastern and Central Europe. So the experience is for the fun and experience and adventure of it almost exclusively, especially because in most provinces, most of the salary saved (living costs are very low, so saving can be expected) is not allowed to be taken out of China. But at least most schools provide very spacious, new, if not altogether high-quality living quarters free of charge. Back then and in the particular city where I worked, it was possible to be discovered and lured over from the school to teach at the local university, so I also had experience about that. Let me add in a rush that since then, age has been restricted to 40, employment at universities have been linked to PhD and the native speaker requirement has really been enforced. But as university is the origin of the future generations of teachers, I have to talk about the situation there. Although perhaps not as general as in Europe, tertiary education is still already open to masses of young people in the more developed regions. At the same time, it’s really not for the uneducated. Those making the entrance exam really have to work hard and achieve high standards to be admitted. As English is on the list of tests to be taken, most students have some English, at least a grasp of grammar and basic vocabulary. 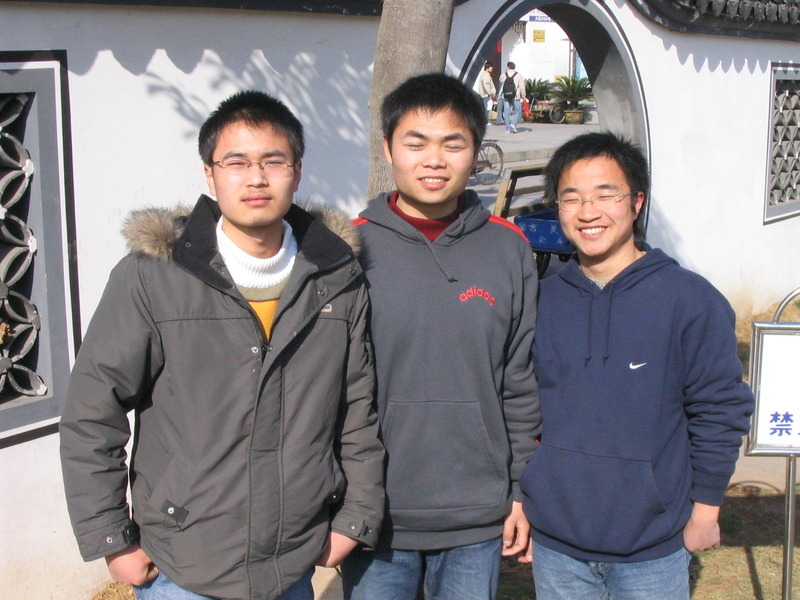 It means that in and around campuses, the ‘laowei’ more often encounters those usual questions, and is even sometimes approached by the request that the foreigner become a friend (on the spot) and improve the guy’s English (also on the spot, and ever after). Most such young people then can’t understand a word of our answer. These are the ones with a good heart and intentions, but they don’t study English at the Uni. Those that come to study English are the real cream of the area concerning English. The ‘laowei’ has a chance of being understood, and also of enticing tentative responses from the students. Students majoring in English have two or three classes a week with the foreigner, sometimes even four, and several of them regularly come to take part in the weekly ‘English corner’ activities intended to further providing a chance for their improvement. They tend to be open-minded, caring, interested and very friendly, often years after the departure of their former teacher: a few keep mailing me even after five years. On the other hand, we must bear in mind that by the time the ‘foreign expert’ meets them, those students had already had about 10 years’ of formal teaching in about 6 to 10 hours a week by mostly Chinese people who themselves may never have met a living specimen of English speakers. The Chinese co-author of this web-site was born before Deng Xiaoping got to power and graduated in the mid-90’s in one of the largest cities, and had never received any English tuition, so that’s how usual it was to be able to study English at all. This is the generation that teaches the future English teachers at universities nowadays. We can realistically hope that with the opening to the West the situation improves fast, but we know that in education, results are slow to achieve. Besides the personnel and outside-of-school possibilities, we must also consider teaching/learning material available for developing knowledge. In this regard, I found a much wider range of internationally published material in South-East China than in the Netherlands, though, naturally, less than in Eastern-Europe, where publishers and the BC are very active. I must also stress, however, that these were Chinese editions, supported with Chinese explanations and translation tasks very unlike those originals available in Eastern-Europe. Listening material was also hard to come by. It must be added that I also found Chinese-made teaching material reasonable, except the excessive test material often full of mistakes. For what we think of testing, our readers are kindly requested to click here. A few more words here about the new requirements for ‘foreign experts’. I would have no problem with the native requirement if it weren’t for the ridiculously low salaries, according to western standards, the country can offer. It results in drawing only the young and adventurous to the country, with a few talented ones alongside, who are inexperienced, but at least strive to do their best and are interested in really discovering the local language and culture, like my own colleague, Chris was. As a result, secondary education would get an influx of talented Middle- and East-Europeans, who would be as happy as I was with the few hundred dollars to take back home after a year’s work and exploration of the country. They would, if it weren’t for the more strictly enforced laws. This requirement looks superfluous, because any reasonable school can demand and execute high-level spoken interviews over the telephone as it happened to me, so the quality can be made sure. It also goes against the fact that English has so many variations around the globe that any perceived deviation from the so-called ‘standard English’ may also be regarded as standard enough. 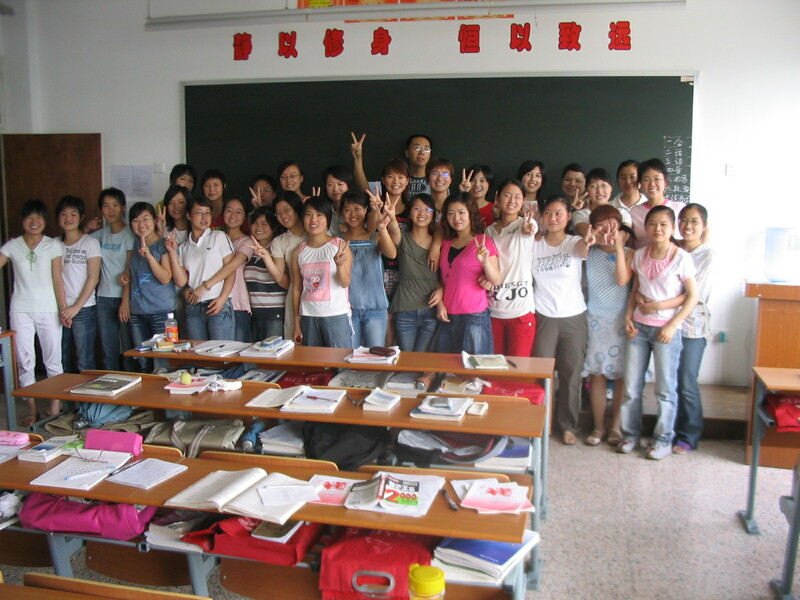 Besides, almost any dialect can be beneficial in the face of the very low quality of Chinese English, and if the school so wishes, the dialect of the applicant can be monitored over the phone, as this happened around me, people saying that the school wanted to avoid the Indian pronunciation, which they regarded too distorted compared to American. Which American, we may ask though. All in all, this requirement is counter-productive to the interests of language education in China. Universities apply the PhD requirement quite strongly nowadays. This I find ridiculous, seeing the ridiculous wages, even though they are considerably higher for a PhD than it was for those without a few years back, but the biggest problem is that a PhD is usually quite inexperienced in teaching. He has become a researcher over the years spent on his special field and has given a certain number of lectures to younger fellow students, but that doesn’t make them comparably competent teachers to career teachers. A PhD’s purpose is not teaching but researching, so he or she is also less focused on teaching in China than ‘ordinary teachers’, who also have taught a huge number of lessons while the PhD was doing his/her research. As a result, as it also happens in other countries, like in Hungarian universities, university lecturers give lectures in ways that don’t appeal to young adults at universities at all. As it happens with English, teaching it at universities can’t be efficiently done by lecturing, especially not in China, where the language itself still needs developing while they also have to study the usual linguistic aspects. Experts only in linguistics are not well disposed and well equipped in this department. Those who are, haven’t had the time and interest, but often only the money, to go on studying for PhD after getting their Masters, and went into practicing teaching instead. So China would do better without enforcing this requirement, they could employ far better teachers that way. But the PhD requirement in itself may not be so counterproductive, as those who go into teaching after getting their PhD’s have a chance of becoming better teachers in time. However, many areas have also imposed an age limit, which is usually 40, and only in a few cases 50. Well, how does a young PhD acquire teaching skills without having time to do so? This beats me. Fortunately, those already in the country for several years haven’t been required to leave their jobs everywhere for their advancing age, and can also often find a new work-place too. Most institutions understand the advantages of the foreign expert having expertise with the system and possibly also the language after years of work there. But the PhD requirement is often rudely imposed, having resulted in releasing many competent teachers only for lack of the degree. We can’t really understand the reason why this so happens, but, then again, that’s the way they are. Also, they will think again another time, very possibly. One word of warning for those who have managed to read through our article thus far. 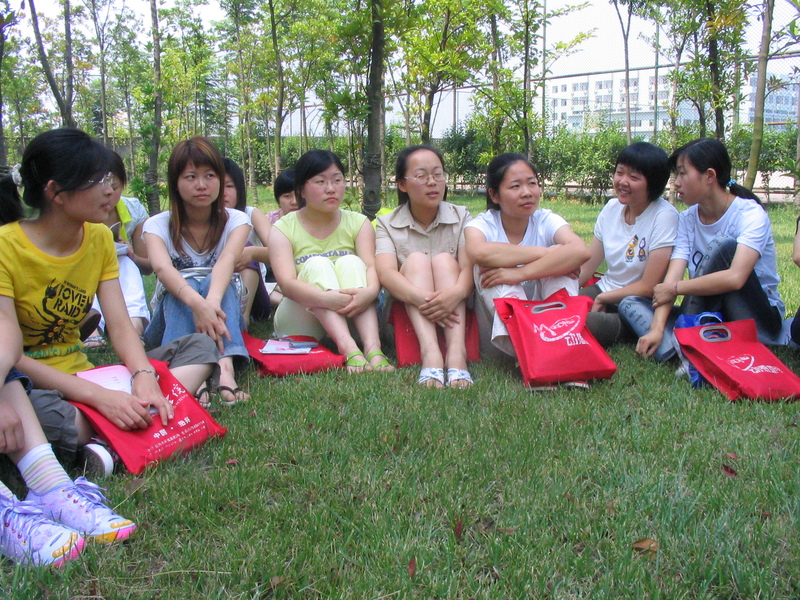 What we’ve discussed and criticized above may not apply to some of the largest and oldest university cities in China, like Beijing, Nanjing, Shanghai, or probably a few more, but is likely to hold more-or-less true for most other areas. But then again, China is such a vast country, with so many differences, and such fast changes, that, hopefully, our points about weaknesses hold less and less true for more and more areas.